Fishing is a huge industry in Alaska, and one of the most popular outdoor activities for residents and tourists alike. If you’re visiting Alaska, you can’t go home without spending a day out on the water catching salmon. 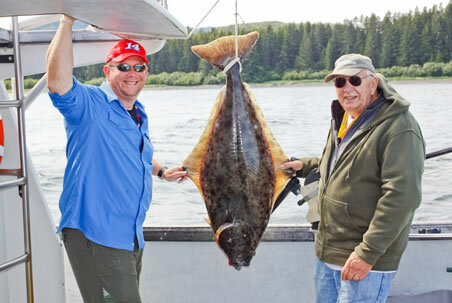 There are festivals every year to try to catch the biggest fish, which are easy to get to in your Alaska car rentals. While you may not want to take part in the festivals, you can enjoy always fishing without the competition. Avis has found some of the greatest spots in the state. With your Alaska car rentals, you can travel to any of these fishing spots without hassle. Load up the Alaska car rentals and head off on the best fishing experience of your life! Chances are you’ve heard of Denali National Park before. It’s one of the most popular destinations in Alaska and for good reason. This park is absolutely gorgeous. While fishing, you’ll be witness to natural life as it was meant to exist. The bears and other wild animals wander at their own will, allowing you to feel the peace and freedom of the natural world. If you’re looking for great sockeye fishing, try out the boat launch at Bing’s Landing on the Kenai. You’re definitely likely to catch something here. It’s a popular spot, though, so get there early. Another benefit of this sockeye fishing spot is the parking lot. As mentioned, the launch can get pretty busy so be prepared to park your Alaska car rentals on the road if necessary. The Homer Spit fishing spot is great for a weekend – or weeklong! – fishing trip. Located at the beach with the Land’s End Hotel right on the shore, it’s a perfect spot for a vacation and halibut fishing. The water is a mere 100 feet from the hotel and here you’ll actually be able catch from the shore. Even if you’re just here for a daytrip, there is a parking lot available for your Alaska car rentals. Located in South Central Alaska approximately 60 miles from Anchorage, the Willow Creek Confluence is a hot spot fishery. At this fishing zone you won’t be limited to just one type of fish. The Willow Creek has an abundance of rainbows, Dolly Varden, and four species of salmon including kings, silvers, pinks, and chums. You may even be able to catch a whitefish or burbot, which are in slightly less abundance. If you’re not a pro fisherman, going on a fishing excursion can be intimidating. The Soldotna River Walk is the ideal spot for amateurs and new fishers. It has a shallow grade into the water and tightly packed gravel, limiting the challenge level. The river walk is easy to get to, as it’s right in downtown Soldotna. You’ll find a variety of fish species here, but the main one that fishers go for is the sockeye. Be prepared for a plethora of people during sockeye season! If you or anyone you’re traveling with has mobility impairments, then Moose Meadows is the spot you want. All of the fishing takes place from a metal boardwalk, so wheelchair access is absolutely possible. You don’t have to worry about going into the water, making it an easier trip for all. The fishery at Eklutna Tailrace is one of the most convenient fishing spots you’ll find. With restrooms available for fishers, and parking lots to house your Alaska car rentals, all you need to bring is a snack and your equipment. This artificial, glacial-fed body of water is excellent for laid back fishing from a chair on the shore. Get your fishing trip started now with a reservation for Alaska car rentals from Avis.